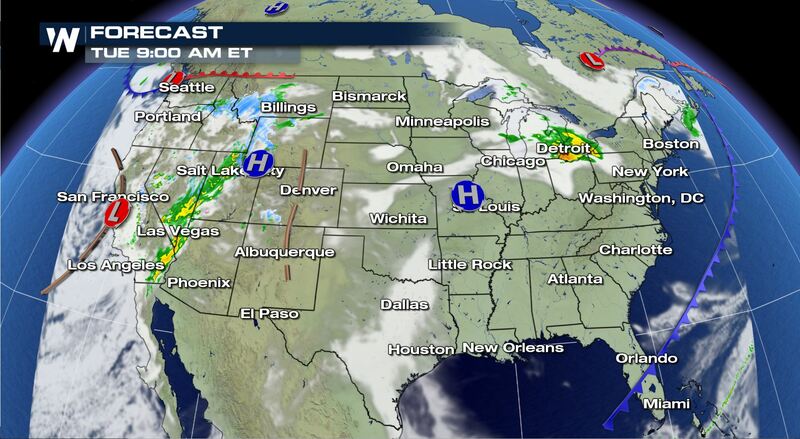 No severe weather chances for the Lower 48 Tuesday, but some areas still could see some active weather conditions. Here is the very latest. 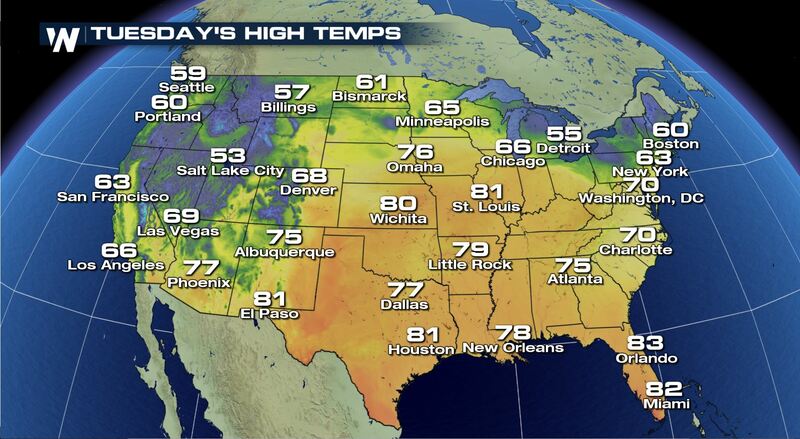 No extreme heat in the forecast for the Nation today. Staying warm in the South, but temperatures will be right at average for this time of the year. Highs in the 50s and 60s across the northern U.S..
A large system in the West will be bring showers and mountain snow to the 4 Corners and Pacific Northwest. 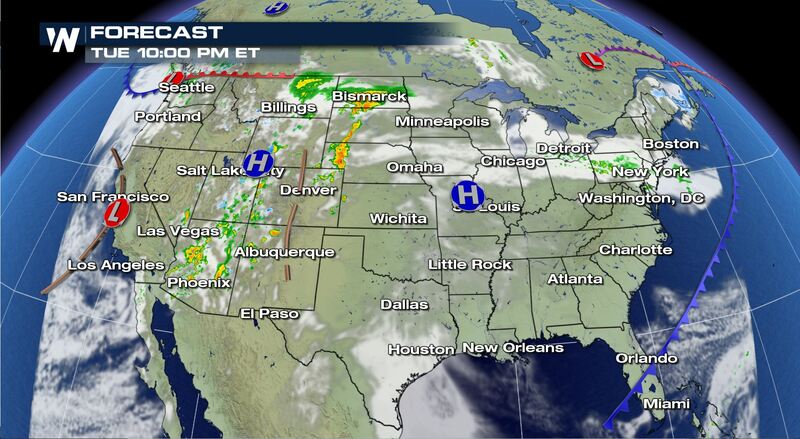 No severe weather, but this is the same system that brings severe storms to the Plains by Wednesday afternoon. Some areas in the Northeast could see a few showers including Ohio and Pennsylvania. If you are in the High Plains, grab the umbrella as you head out the door. 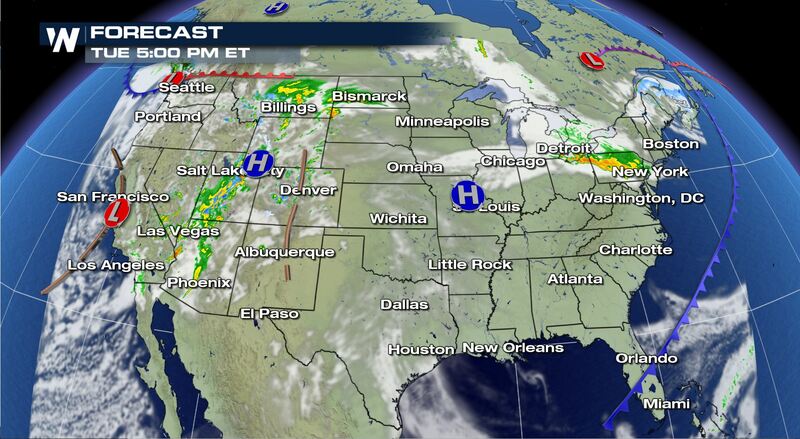 Showers possible for Montana and the Dakotas.